The game-changing Asus ROG smartphone is here to take on the Razer Phone for the title of best gaming phone. The firm says it’s been working on it since as early as 2013. The Asus Republic of Gamer phone is equipped with a Vapor chamber cooling system, a cooler option and a 90 Hz display. The AMOLED screen has 6.0-inch and the phone is powered by an overclocked Snapdragon 845 high-end chipset, paired with Adreno 630 GPU and 8GB of RAM. In terms of 4G LTE it supports 22 different bands and frequencies for worldwide use. 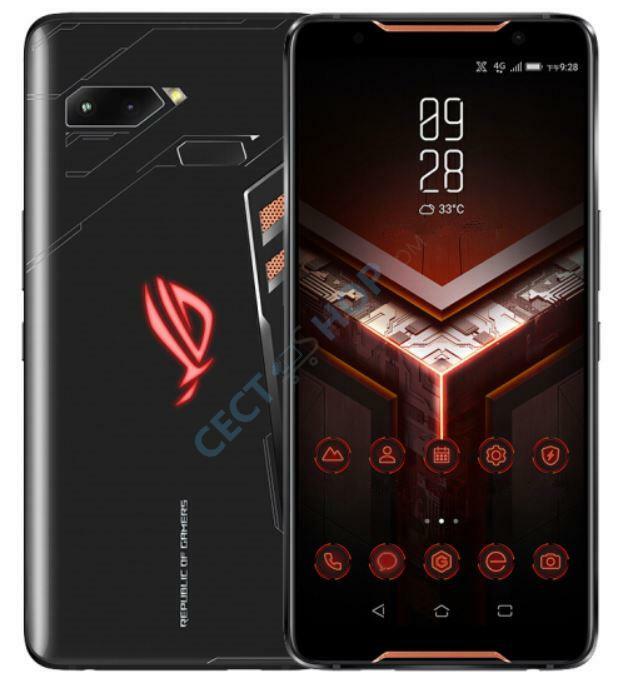 The Asus gaming phone sports a 6.0-inch screen with 90Hz refresh rate, a resolution of 2160 × 1080 pixels and a wide color gamut. The display has a brightness of 550 nits. The ROG Phone runs on the Snapdragon 845, but the chipset hits a higher clock speed on this device and is clocked at 2.96GHz. It will come in 128GB and 512GB storage variants and on top of that with 8GB of RAM. Of course, cameras are also included for a gaming smartphone. At the rear, the ROG Phone has a dual camera with wide-angle lens and 12 megapixels and 8 megapixels. An 8-megapixel front camera is available for selfies. More importantly for a gaming phone are shoulder buttons. The Asus ROG Phone has these too, but invisible in the form of the so-called Air Triggers. These are two areas on the frame that detect your touch by ultrasound while playing. The ROG Phone has two forward facing speakers that can make a lot of noise. The NXP 9874 SmartAmp is designed to reduce distortion. If that’s not enough, the mobile comes with an AeroActive cooler in the box. This has a fan and clips onto the phone via the USB port on the side. The ROG Phone packs a battery with 4.000 mAh supporting Quick Charge 4.0 to quickly recharge the phone. 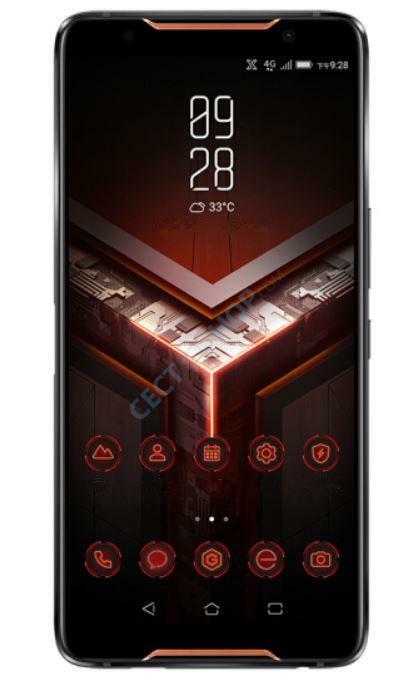 The Asus gaming phone runs ROG UI based on Android 8 Oreo out of the box. 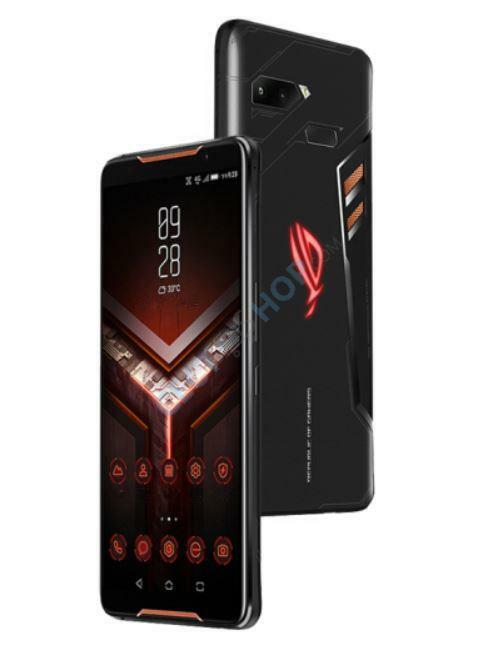 The Asus ROG Phone is here with the aim to be the best gaming smartphone in the world - Order and buy at the best online store for phones - CECT-Shop.com!